Before you make your loop of holiday parties on Saturday, December 10, from 4-6:00 p.m., you'll want to stop in at Red Fox, a pop-up gallery located in The Bedford Store on the village green. 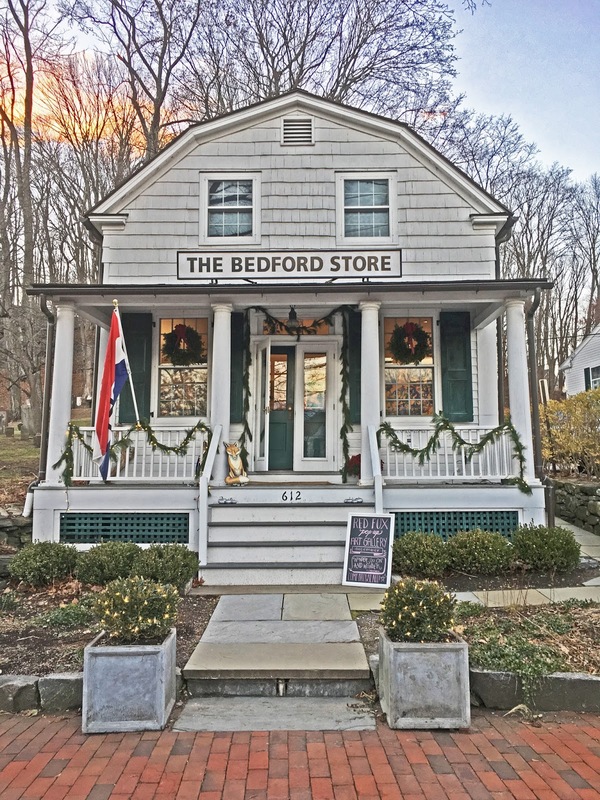 The first-floor space is a clever way to utilize and steward this historic location that is also home to the Bedford Historical Society. Bernadette Durham, equestrian, nature and landscape photographer with a keen eye for the aesthetic in all media, has curated this delightful collection of fine art, rare vintage furniture, collectives, photography, furniture design, installation art, ceramics and video art. 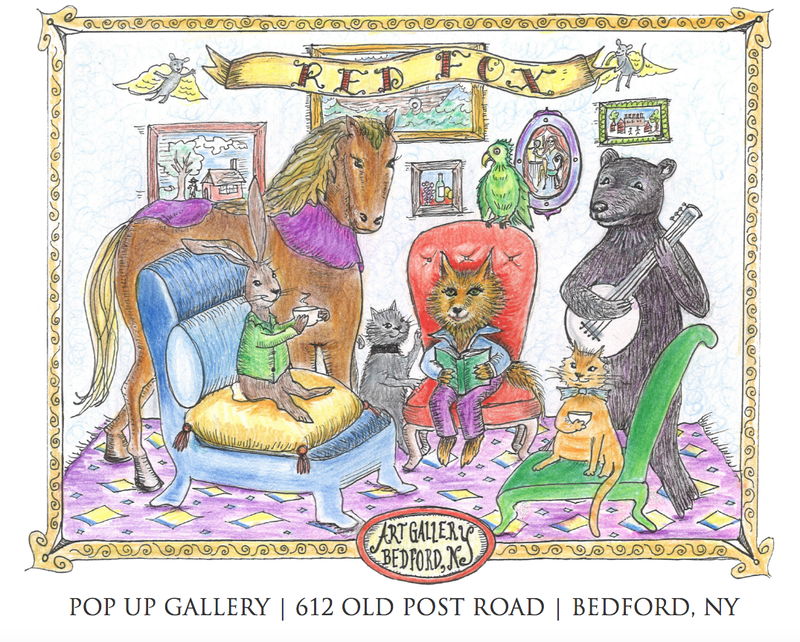 "I created Red Fox with great passion so that I could showcase art that allows for openness and understanding of our society and issues around the world," says Durham. "As a photographer, the theme I share with the artists whom I'm featuring is Vérité. Much of their work is about activism and climate change. A flower installation, for example, made from plastic and paper goods, represents repurposing materials for a fresh new look. 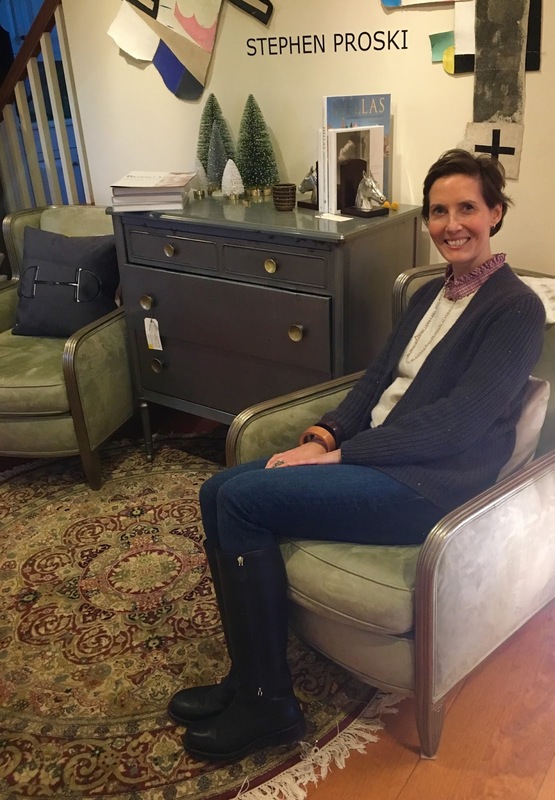 The furniture is also carefully curated to honor meticulous craftsmanship and beautiful design." 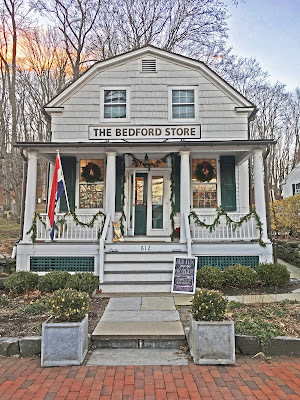 Red Fox is located in The Bedford Store, on the village green, at 612 Old Post Road in Bedford, N.Y.